Vitamin Supplements Can Make People Addiction. Really? Vitamins are substances that are very important for health. Many people consume vitamin supplements to increase endurance and to get the nutrients they can't get from the daily food. However, some people refuse to consume vitamin supplements because they think can make them addicted. Is this correct? Vitamin supplementation is not a substitute for food, because in fact no one can replace the nutrients from whole foods. According to Roberta Anding, MS, RD from the American Dietetic Association. Vitamins can fill nutritional gaps in your menu, but there is still a major force on your plate and not the pill. Therefore, if the nutrients are not being met through your foods, vitamin supplementation can help the malnourished. Some studies have shown the effectiveness of supplementation of vitamins for the body. For example: A National Institutes of Health (NIH) found an increase in bone density in older women who take calcium and vitamin D addition. If you stop taking vitamins and feel weak, it doesn't mean you are addicted to the supplement. What actually happened is you are not meet the nutritional needs so that you are not powered. 1. Consult with your doctor to find out if you really need extra vitamins a daily life. 2. Note the levels of vitamin supplements that you consume, some vitamins such as vitamin A, D, and E can give side effects when levels exceed the recommended dosage. 3. 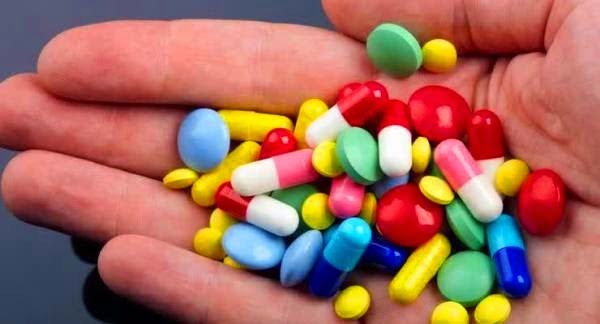 Always be careful if you want to consume vitamin supplements when you are in the care of certain drugs. Some types of vitamins can interfere with the function of drug action in the body. In addition to eating a healthy-foods, multivitamins also needs to be taken to make the body fresh. Especially if every day you undergo strenuous activity and dense, making it impossible to exercise regularly.